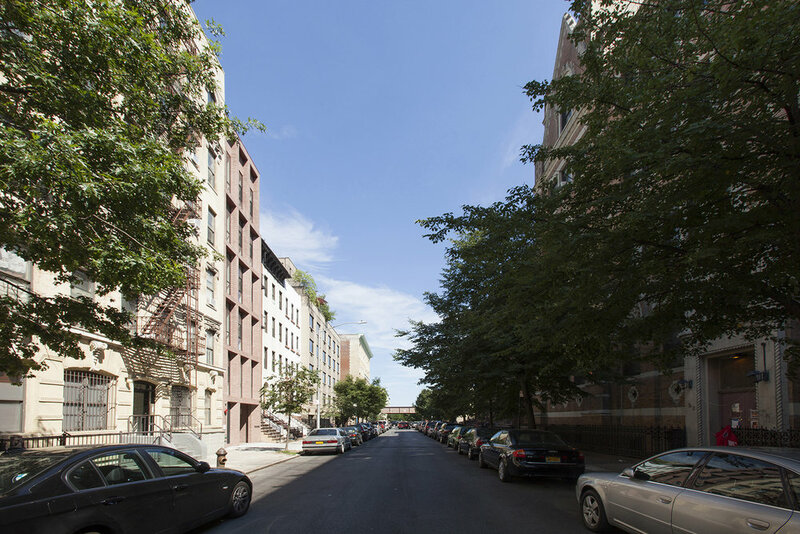 The site of 18ft by 100ft is located on the 130th street between Park and Madison Avenue in East Harlem. Buildings in this row uniquely does not line up at the lot line. The adjacent building to the west aligns its facade with the lot line. 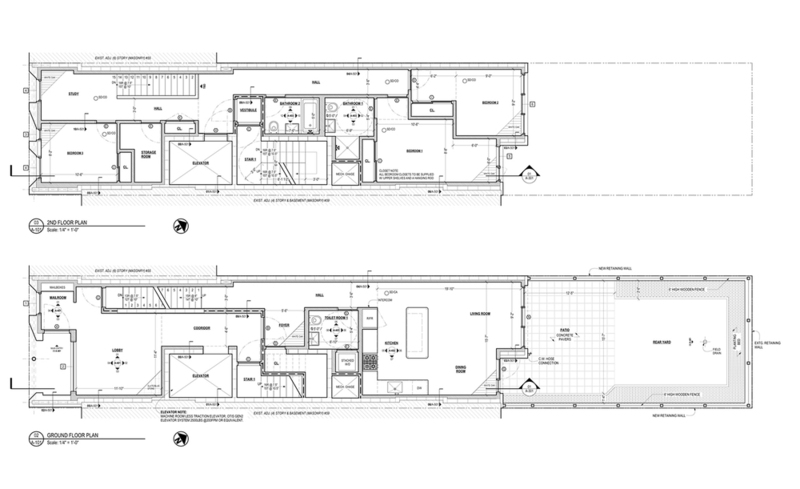 However the one to the east sits at 7ft set back from the lot line, which allows an exposed corner. The design strategy both in macro and micro aspect comes from the advantage of this exposed corner; strategizing the depth in its volume and in the facade detail. 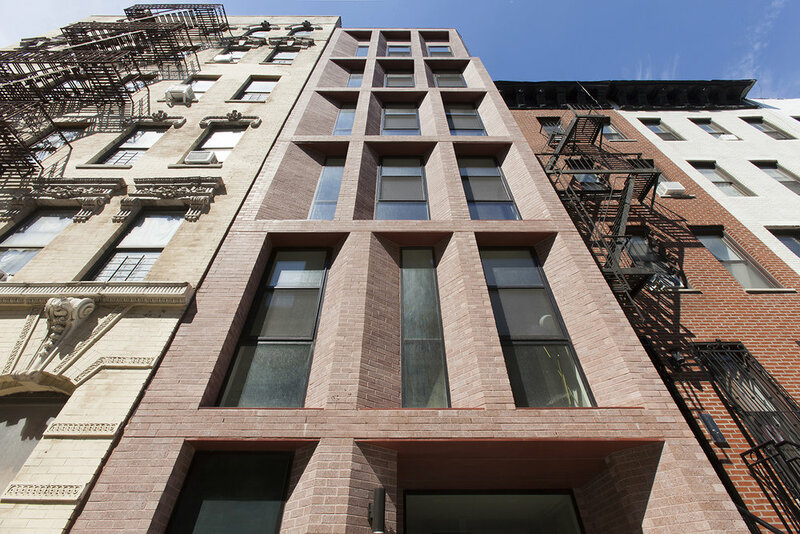 Respecting the facade/window arrangement in a grid manner of the neighborhood, the pilaster plays a key role in vitalizing the gesture of the building. A half of each 2ft-wide pilaster is tapered by 45 degrees, and the direction of tapering is inconsistent. This breaks a rather strict grid of the facade. 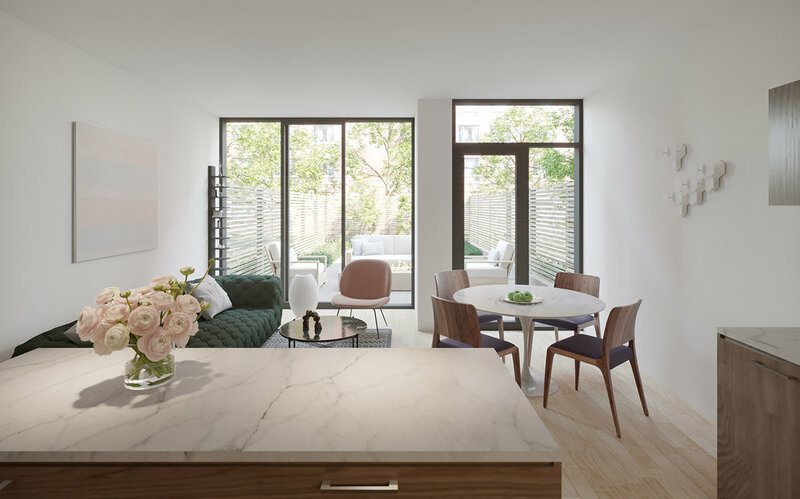 Also, west corner of the first floor makes a dialogue with the existing adjacent neighbor and the chamfered east corner of the top floor allows a smooth transition to the adjacent building of the east and opens up to the sky.